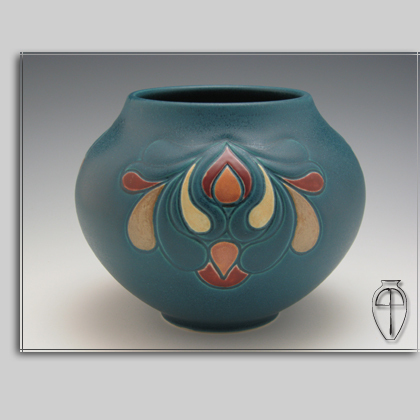 5.5″ tall vase with 2 incised Art Nouveau clusters on either side of the body. The background of the piece is Peacock Blue. This is a different look that I’ve been exploring a bit. SOLD!